The topic of women and the church puts many people on high alert, ready to defend their views. But what is the Bible’s view on women? What does God want a woman to be? Is the Proverbs 31 woman God’s ideal? 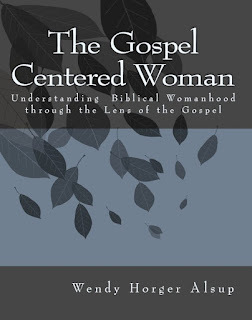 In The Gospel-Centered Woman: Understanding Biblical Womanhood through the Lens of the Gospel (January 2013/ISBN: 978-1451574821/$8.99), author Wendy Horger Alsup sets out to help readers understand what the Bible truly says to and about women. Q: From the world’s perspective, what does the “perfect Christian woman” look like? Is that ideal really Biblical? In some circles, she may the home-schooling, breast-feeding, stay-at-home mom. In others, she may be the woman volunteering 24/7 in a homeless shelter or some other type of full-time ministry. There are a variety of stereotypes, depending on your cultural base. Many Christians lift up the Proverbs 31 woman as the prototype for good, Christian women. If you look at the whole of Scripture, there are a lot of different women in very different circumstances that shed positive light on Biblical womanhood. Abigail, Ruth, and Esther. Priscilla, Phoebe, and Lydia. Some had husbands, some did not. Some had kids, some did not. Each had very different stories and responsibilities in life. But perfection (which means maturity when the Bible uses the term) in Scripture for both men and women is Jesus. He is the author and finisher of our faith. We were created, male and female, as image bearers of God, and we all, male and female, are being conformed back to the image of Christ. Q: We tend to think of most of the women in the Bible as wives and mothers, but you point out that there are a number of women who were single or whose marital status we do not know. Can you tell us about one or two that stand out to you? Lois and Eunice stand out to me, single or widowed—we really don’t know. Maybe there was a husband/father, but he’s no where to be found in terms of raising Timothy to love the Lord. Ruth also stands out. She’s well known because of her eventual marriage to Boaz, but the aspects of her character that we most admire were forged when she was a widow with no prospects for marriage. Q: Many women believe Ruth is the example of what they should be. Why do you say that she is actually not the example we should strive for? There are many women in Scripture that flesh out aspects of our one true example, Jesus Christ. I am inspired by Ruth’s unconditional fidelity to Naomi and the way she boldly lays her own honor on the line to bring honor back to her mother-in-law’s family. But Scripture doesn’t teach that God planned before time to conform me to the image of Ruth, but to the image of Jesus! Ruth and others are conduits to that end, and I thank God for their examples. But they are not the end themselves. Q: As women, we strive for the example given in Proverbs 31, but is that really achievable? We need to receive the Proverbs 31 woman as wisdom, not law. She’s an inspiring example, but ultimately we were not created to be conformed to her image, but to Jesus’. We often call her the Virtuous Woman, but it’s probably more accurate to call her the Virtuous Wife (the Hebrew word translated woman/wife can mean either). Given the context, calling her the Virtuous Woman makes it sound like the only path to virtue for a woman is through marriage and family. Yet we have many examples in Scripture that set that notion on its head. Instead, I read the Proverbs 31 wife as an inspiring example of what is possible in a woman’s heart who is at peace with her God through the gospel and the subsequent possibilities in her home. Her example is beautiful and helpful when we allow the Spirit to apply wisdom from that chapter to our lives in ways that are actually wise for our homes and our families, as opposed to an unattainable self-imposed standard that brings condemnation instead of hope and inspiration. Q: What does the gospel say to minister to the singles longing for the relationship of husband and/or family? The good news of Christ is that we have hope that equips us to endure. That hope is not that our circumstances will change. But it is the confidence that when we finally sit with Jesus in heaven, we will NOT be disappointed in how He directed our life. The story is written, and the end is certain. And the final scene is each of us in Him with a satisfied smile on our face in perfect relationship with our eternal Husband, Jesus Christ. Q: In Genesis 2 it is written that woman was created to be a helper to man. What did God mean by helper in that context? We were created in God’s image, and He is the first example of what He means by ezer, the Hebrew word for helper. Scripture goes on to use that term 16 more times in the Old Testament with God Himself as the object of the verses. Ezer is a strong word. God our help nurtures His people by defending, protecting, and comforting them. He nurtures us from a position of strength. It is incredibly inspiring to study His example as ezer when trying to understand His plans for me as a woman. Q: Our culture depicts the strong woman as the one who doesn’t need a man, but as Christians we’re supposed to rely on Christ. Does that make us weak? In my culture, strong women don’t need men, and weak women follow loser men around like a whipped puppy. But I believe God sets up a beautiful 3rd way—calling women to strong, inner peace so that they can stay engaged with the man, comforting, supporting, and perhaps even defending and protecting at times. That inner peace in Christ allows us also to accept protection, support, and leadership from the men in our lives without feeling threatened by it. Q: People often ask why bad things happen to good people, but really isn’t the question that we should be asking how Christians will react to the circumstances they are put into since everyone will have something bad happen? We live in the already, but not yet Kingdom of God. We know Jesus is king. But Hebrews teaches us that even so, we do not yet see everything subject to Him. In all of our lives, we live in the tension between what God declares good and right and the realities of life in a fallen world—including sickness, sin, suffering, and death. So, yes, we are all guaranteed some measure of suffering in life. And, often, that suffering feels overwhelming. The Bible does not teach that if we are good enough or make wise enough decisions that we won’t suffer. But God does promise to equip us with a spiritual inheritance that sufficiently equips to face our suffering head on. It’s why the Apostle Paul was able to say that we are “perplexed but not driven to despair.” The Gospel-Centered Woman takes a deeper look into exactly how God equips us to face the disconnect between what God declares good and the reality of our suffering in life. Q: Grace is such a central part of the gospel, but we often get snagged up with the concept. Shouldn’t it be easier to understand? Grace is completely counterintuitive to life in a fallen world. We think we understand the word and maybe can even correctly cite the basic definition, but it is so opposite our innate self that truly understanding and implementing it is a lifelong struggle. That’s why even 3 full years after sitting at Jesus’ feet, His disciples seemed completely unprepared for the crucifixion. Jesus gave them repeated examples of the sacrificial and unconditional nature of God’s love (the Prodigal Son, instructions on turning the other cheek, His straightforward explanation of grace in Luke 6). Yet Peter still cuts off the soldier’s ear in the garden when they come to arrest Jesus. It wasn’t until the moment that Jesus said “Father, forgive them for they don’t know what they do” as He hung on the cross that I think the disciples finally started to grasp the true nature of gospel grace. It’s OK that we struggle to understand it too. It’s only wrong to dismiss it as something that isn’t relevant to you or as something that you have already mastered, because I can pretty much guarantee none of us have mastered grace as the Bible uses the word. 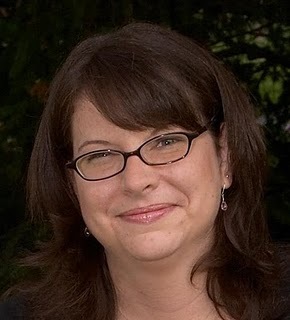 Find out more about Wendy Alsup and The Gospel-Centered Woman at www.theologyforwomen.org. 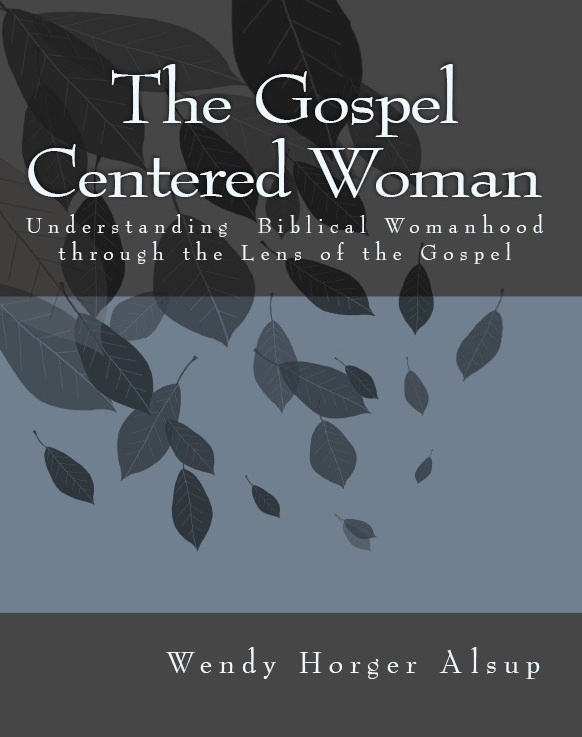 Readers can keep up with Alsup via the Practical Theology for Women Facebook page and follow her on Twitter (@WendyAlsup).